That the colt from old Regret had got away. Andrew Barton ‘Banjo’ Paterson’s poems and his use of the Australian vernacular have endeared him to generations of Australians. In the Australian National Dictionary (a dictionary of Australian English using quotations to provide evidence of how words are used over time) Paterson is quoted 78 times. His poems provide valuable evidence of 19th and early 20th century Australian English—particularly the language of the Australian bush. In this blog I will look closely at some of the Australianisms found in ‘The Man from Snowy River’. 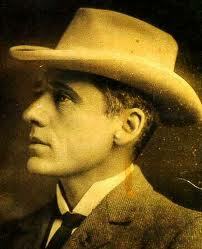 Banjo Paterson’s poem ‘The Man from Snowy River’ lays claim to being Australia’s most famous poem. First published in The Bulletin in 1890, the poem recounts the quest to capture an escaped colt—a colt of immense value—who has joined a mob of wild bush horses. Expert riders from near and far have gathered to join in the pursuit of the colt in mountainous terrain. One unlikely looking rider is a man who ‘hails from Snowy River, up by Kosciusko’s side, Where the hills are twice as steep and twice as rough’. It is this rider who single-handedly brings the colt and wild horses back, after a heroic ride. Droving (first recorded 1871) is the act of driving or moving a herd or flock over a great distance. This experience serves the bushmen well in their pursuit of ‘the colt from old Regret’. The Timor pony (first recorded 1828) is a small stocky horse of a breed transported from Timor. It is with a sturdy horse bred from this stock that the man from Snowy River succeeds while his fellow bushmen are left on the ‘mountain’s summit’ to watch in awe as man and horse plunge down the steep descent after the mob. On his lone descent the man from Snowy River makes his way through terrain dominated by ‘stringybarks and saplings’. Stringybark (first recorded 1799) is the name given to various eucalypts with thick, rough, long-fibred bark. It is one example of the Australian flora that features prominently in ‘The Man from Snowy River’. 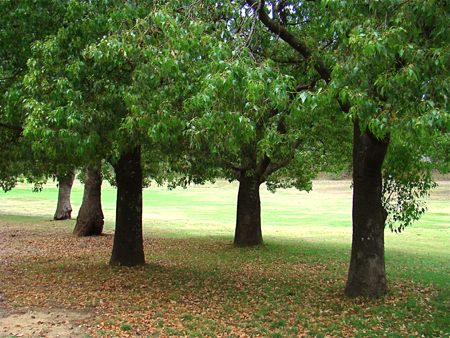 The poem is set in the Australian high country where ‘mountain ash and kurrajong grew wide’. Mountain ash (first recorded 1829) is the name given to a number of trees, usually of the genus Eucalyptus. Kurrajong (first recorded 1801) refers to several trees of the genus Brachychiton, sometimes called bottle trees, that yield a useful fibre. The word kurrajong comes from the Aboriginal language Dharuk and means ‘fishing line’. These lines were often made from the fibrous bark of such trees. Another plant found in the poem is wild hop (first recorded 1854), a term for a number of plants resembling the northern hemisphere hop (Humulus). And the stockman tell the story of his ride. Australia is still telling the story of the famous ride. ‘The Man from Snowy River’ has been adapted for film (1920 and 1982), television series (1993-1996), and a stage musical (2002). 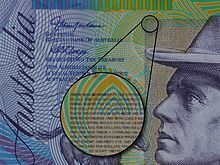 The text of the poem has been microprinted on the Australian ten-dollar note. In the forthcoming edition of the Australian National Dictionary we will be adding the catchphrase there’s movement at the station (first recorded 1918) from the opening line of the poem. It is now used allusively to refer to a significant change in circumstances, such as a change in the personnel of a workplace. Paterson’s poem has indeed made a lasting impression on Australian English. See the full text of the poem here: ‘The Man from Snowy River’. This entry was posted in ANDC, Australian National Dictionary, colonial history, popular culture, rural Australia and tagged Banjo Paterson, bush horse, bushman, droving, kurrajong, Man from Snowy River, mob, mountain ash, station, stockwhip, stringybark, Timor pony, wheel, wild hop, wing by Mark Gwynn. Bookmark the permalink. Wonderful — with a few changes, it could be from Arabia or the Caucasus! You might want to fix “a household world,” though. Thanks for the comment. Mistake fixed!